The Can That Feeds Someone For A Whole Month! 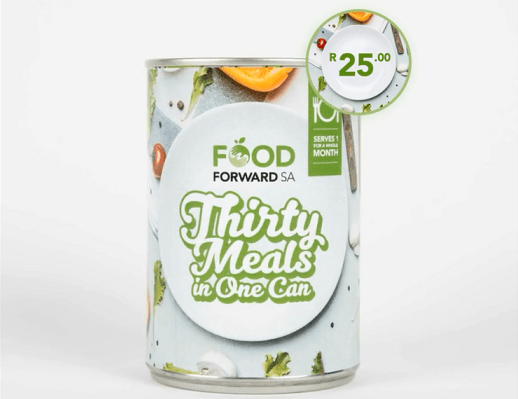 Walter Thompson Cape Town puts a month of meals in one can in a new campaign for FoodForward SA. Walter Thompson Cape Town has created a novel and attention-grabbing in-store campaign for FoodForward SA, a non-profit organisation that sources edible surplus food to feed the hungry. J Walter Thompson Company was founded in 1864 and has been making pioneering solutions that build enduring brands and business for more than 150 years. Today, under the leadership of Global CEO Tamara Ingram, the company includes several global networks including J. Walter Thompson Worldwide, Mirum and Colloquial. Even though South Africa is considered a ‘food-secure’ nation, producing enough food to adequately feed every one of its 55 million people, the reality is that with unemployment levels at 25.5% and over 17 million people receiving social grants, more than 14 million South Africans go hungry every day. Organisations like FoodForward SA are vital to provide for those not in a positon to provide for themselves. For every donation of R25 FoodForward SA is able to provide someone with 30 meals. To highlight this fact, J. Walter Thompson Cape Town created a unique canned product that offered consumers 30 meals in a single can for R25. The cans, wrapped with specially designed labels, were launched in a SPAR outlet in Cape Town and displayed on promotional units to give them prominence. Shoppers drawn to the offer discovered upon closer inspection that it was a donation drive for FoodForward SA. To make a contribution, all consumers had to do was then add the can to their basket and scan it when they paid at the till. 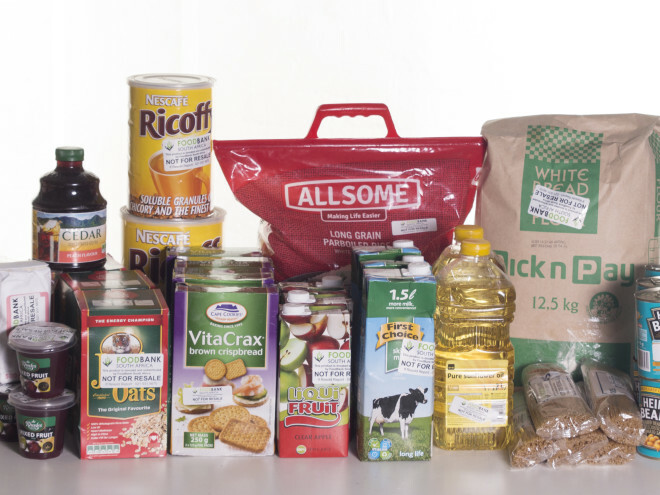 “It’s a fantastic way to communicate to potential donors how much we can do with just a small donation,” said FoodForward SA Managing Director, Andy Du Plessis. “All the food we receive is donated, which makes our Foodbanking model affordable and scalable in addressing widespread hunger. Even small donations will make a big difference,” he added. You can now purchase a virtual can for R25 on the FoodForward SA website and provide a months’ worth of meals to someone in need. To purchase your virtual can click here and make a difference in someone’s life today. FoodFoward SA is grateful to have a partner such as J. Walter Thompson who shares a common goal of enriching the lives of disadvantaged South Africans. 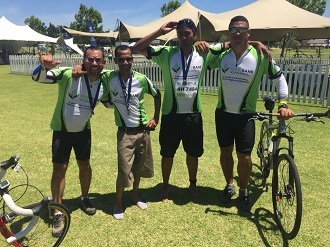 A lot has been accomplished throughout the partnership and has many South Africans benefiting from its initiatives. To find out more about the work that FoodForward SA does or to make a donation visit www.foodforwardsa.org.